These ‘smart’ garments form part of her Possible Tomorrows project. 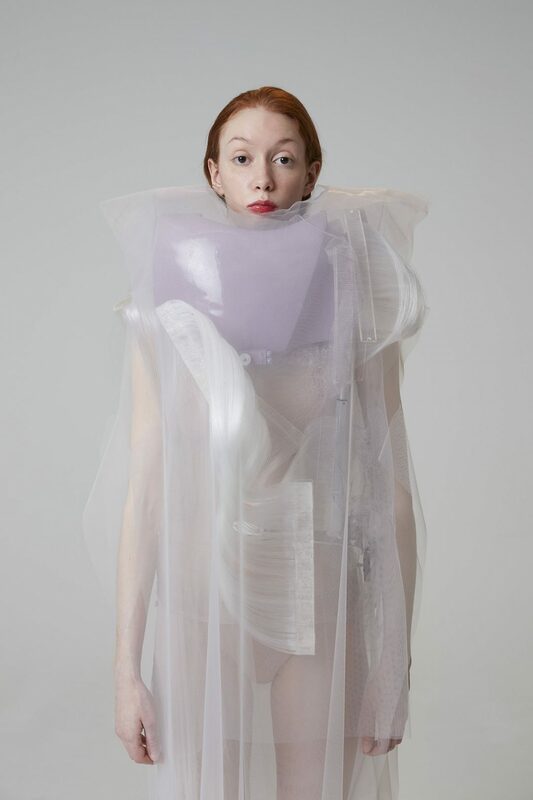 Fashion designer Ying Gao has been creating uniquely interactive fashion garments for over six years. The Chinese-Canadian creator combines aesthetic elegance with the latest in tech to produce clothing that responds to external stimuli. Her latest project – called Possible Tomorrows – fuses clothing with fingerprint recognition technology to create a beautifully poetic commentary on human connection. Viewing security technology as something political that has developed to prevent us from connecting one another, Gao designed the pieces that make up Possible Tomorrows so that they bypass their own notion of security. Consisting of two robotized garments that are connected to a fingerprint recognition system, these garments come to life only in the presence of strangers. “I really believe that for fashion to be meaningful it needs to be deeply experimental,” Gao said in an interview with Azure magazine. She recalls being taken to an Yves Saint Laurent exhibition by her mother as a child but instead of being excited by the garments’ bright colours, she was more struck by the clothing’s capacity for communication. With her own animated clothing, Gao aims to extend these abilities. The striking appearance of the garments were inspired by hypotrochoids – shapes its creator borrowed from the geometric children’s drawing toy, Spirograph. Describing them as “flattened curves drawn by a single point linked to a mobile circle that rolls without sliding, on and inside of an initial circle,” Gao developed the pieces from a series of algorithms linked to the realm of pattern recognition using nylon mesh, nylon thread, PVDF thread, thermoplastic, and electronic devices. To see more of Gao’s work, you can visit her website here.